Week 9 topics were 1 - Conducting Cluster Research and 2 - Organizing Research Materials - Documents and Photos. 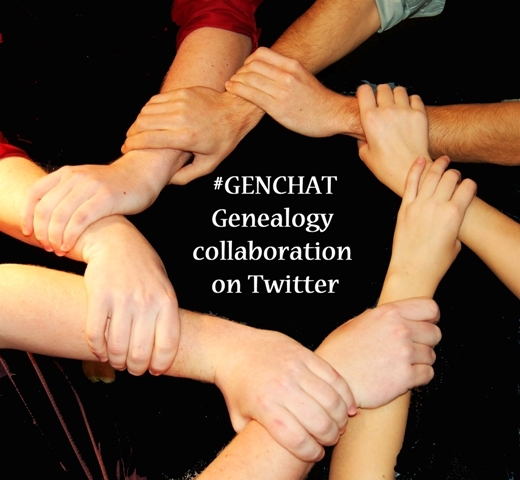 Cluster research is when you research the Friends, Associates and Neighbors (FAN Club) of your direct ancestors. A better, more detailed description can be found in the Week 9 Do-over post. The post also includes tips for cluster research and collateral research that I found and will find helpful; a reminder to keep a research log, to formulate theories and write them down, to try swapping given names and middle names. I am not ready for cluster research in my own trees, but I definitely see its value as a research method. If you haven't already, I recommend that you read the Elizabeth Shown Mills post that Thomas MacEntee linked in his Week 9 Do-Over post. Not only is it a fascinating look at well done research, it contains very interesting history and begs the question, why did I ever think history was boring? Certainly there is more reading to be done before embarking on cluster research if it is to be successful, and when I find it, I will share it here. When I began the Do-Over, I started by organizing my documents, or so I thought. As I organized I saw some posts in the Do-Over Facebook group about the color-coded filing system many people use and though that while it looked like a great system, it was too much for me and just wasn't a good fit for the type of documentation that I have (heavy on correspondence and keepsakes, light on vital records). As you can see from the photo above, I have since changed my mind. What I began to realize was that although my files were now organized it was not done in a systematic way and the organization might begin to break down when new documents and new types of documents were added. At first I dismissed the need to add to my paper documents because I find a lot of records now in digital format and because I immediately digitize the records that I get on paper. But in the back of my mind were online posts and discussions of file back-ups, software failure, online database changes and the fact that the file formats of today may not be compatible with technology of the future when a great-grand-niece or distant cousin wants to see my father's birth certificate. So, I took a deep breath and decided to take another look at what other genealogists are doing to organize. Thanks to Cyndi's List I found a lot of great guidance in setting up this system, especially this blog post because it included a "sub-system" for dealing with Patronymics (names derived from the father). Patronymic naming was used in Sweden, home of my paternal grandmother's parents, my green folders above, so I needed to know that my system could handle that as well. Although I found some of the supplies I needed at my local office supply store, I did have to place a small order through Amazon which I am still waiting for. Once that arrives and I can put the finish touches on my new system, I will share again. I am so fortunate. I have ancestral photos going back over 150 years. But with this gift comes the great responsibility of preservation and preservation can be expensive and confusing. As I have mentioned in past posts, I have found great advice about photo and slide digitization and preservation at the monthly Scanfests hosted by Ancestories blogger and genealogist, Miriam Robbins. I hope she finds a new platform for Scanfest soon! It occurs to me as I type that I really should be using my blog to document this long process because there are others out there who might find it helpful. So, look for that soon. And I'll be back tomorrow with a post about the Week 10 topics.